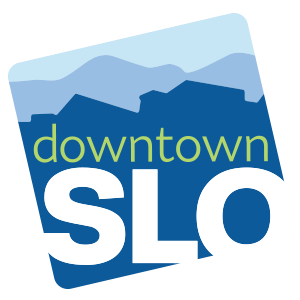 We value your localized experience regarding parking in Downtown SLO. Please take less than five minutes to answer nine (9) questions. Your responses will remain confidential. Responses may be shared with the City and San Luis Obispo Council of Governments (local and regional transportation partners). Would your business benefit from additional parking structures? Would allowing ridehailing companies (Uber/Lyft/taxi) to use loading zones during non-peak hours impact after-hours parking for your customers? Does your business need additional bike parking for your customers/employees? Do you have customers with ADA needs that have difficulty finding parking near your business? * 5. What type of "parking" do you most prefer near your business location (SELECT UP TO TWO)? * 7. Where do you recommend that your new employees park? * 9. What, if any, commuter benefits does your employer offer (such as free parking, employee showers, indoor bike parking, subsidized bus passes, pre-tax benefit for bus passes, gift cards, actively promote free SLO Transit, etc. )?